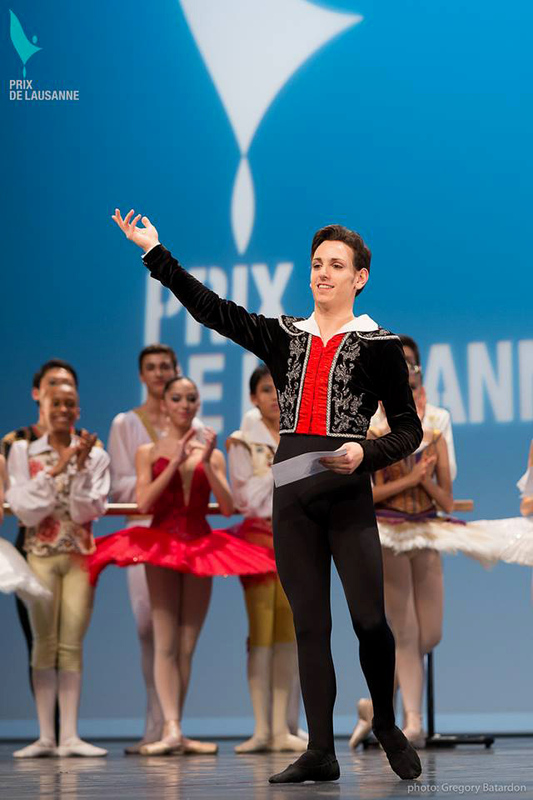 18-year-old Vincenzo di Primo was one of the seven winners at the annual Prix de Lausanne, taking away the Albert Amon Foundation scholarship which will give him the opportunity to train for a year at one of the 66 schools and dance companies that support the Lausanne competition. 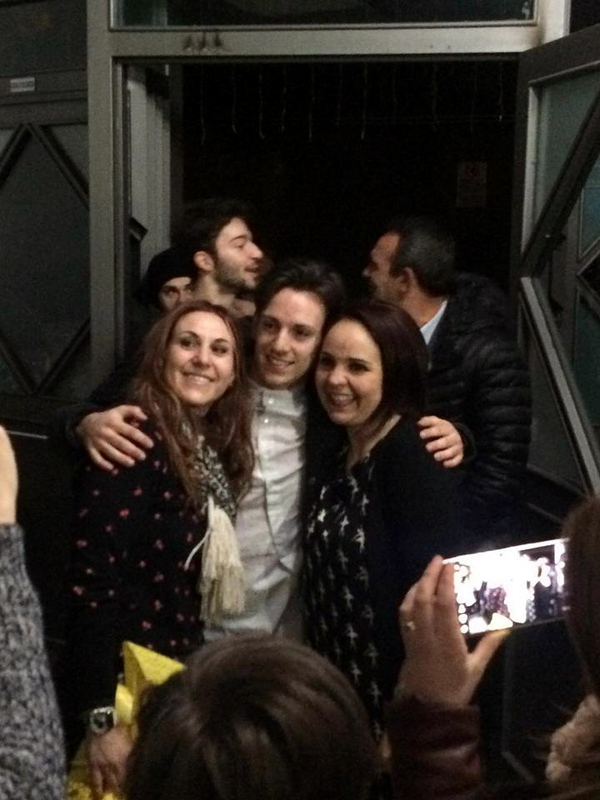 Lausanne was an unforgettable experience which gave me so many overwhelming emotions. 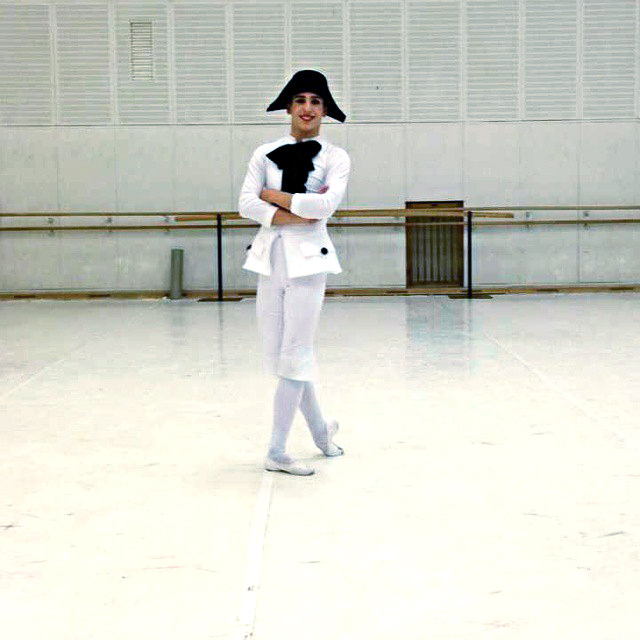 Vincenzo, who trains at the Vienna Opera Ballet Academy, got through the first round, which is judged on a video that candidates send in. So at the end of January of this year I went to Lausanne for a week, and from Monday to Thursday I did lessons in classical and contemporary in front of the jury, who give you a vote on both styles. All the candidates who reach this stage get the chance to dance in the semi-finals which take place on stage on the Friday; here they present both their classical variation and their modern piece. Of the 67 semi-finalists this year, 20 were chosen by the jury to go through to Saturday’s final. During the final you present both pieces again and this time the jury chooses the winners. It was quite stressful always having the jury in front of you throughout the week but, at the same time, exciting, being able to demonstrate what you can do to so many important figures of the dance world, artists who you’ve always admired. It was quite tricky maintaining the correct rhythm for your body throughout the week. The Lausanne stage has a rake, which I’m not used to, so it was harder finding balances. The emotion of the win, however, surpassed any stress he may have felt. Of course, when I won, I felt overjoyed, though I got so much out of the whole experience. All those who have the possibility to take part should do so as it opens so many doors, allowing you to meet such outstanding people. I think it has helped me to grow further… an experience that will stay with me for ever. The Prix de Lausanne staff were wonderful people: very kind and welcoming to everyone. I would do the Prix de Lausanne again and again! But certainly not classical. I started with Latin dance which then led to hip-hop, and I was 10 when I began with classical and contemporary. When I heard music I would jump around all over the house non-stop. My mother saw that I was so happy when I was dancing that she suggested that maybe I should attend some lessons and without thinking I agreed… let’s say that since then I’ve never looked back. Mum has an hour of peace and her child gets to let off some steam. When I was ten or eleven, I didn’t realise that there was a classical repertory, but when I watched Don Quixote on YouTube, with that great artist Mikhail Baryshnikov, I began learning the choreography by myself. It took my breath away. Don Q became my favourite ballet… it still is. From then on I’ve never stopped watching and admiring Baryshnikov’s art, and he has been my main model growing up. Through videos I got to know other great dancers such as Daniil Simkin, Carlos Acosta, Leonid Sarafanov, Matthew Golding, Friedemann Vogel, Roberto Bolle, Ivan Vasiliev and Julio Bocca. I continue to watch their videos and they’ve have a great influence on me growing up. His classical training started at Eusoma in Adrano, a town in the province of Catania on the east coast of Sicily. He then moved on to a school in Catania called Les Ballet. That school gave me the possibility to enter a competition and win a scholarship to study at the Vienna Opera Ballet Academy. He has been in Vienna for four years. 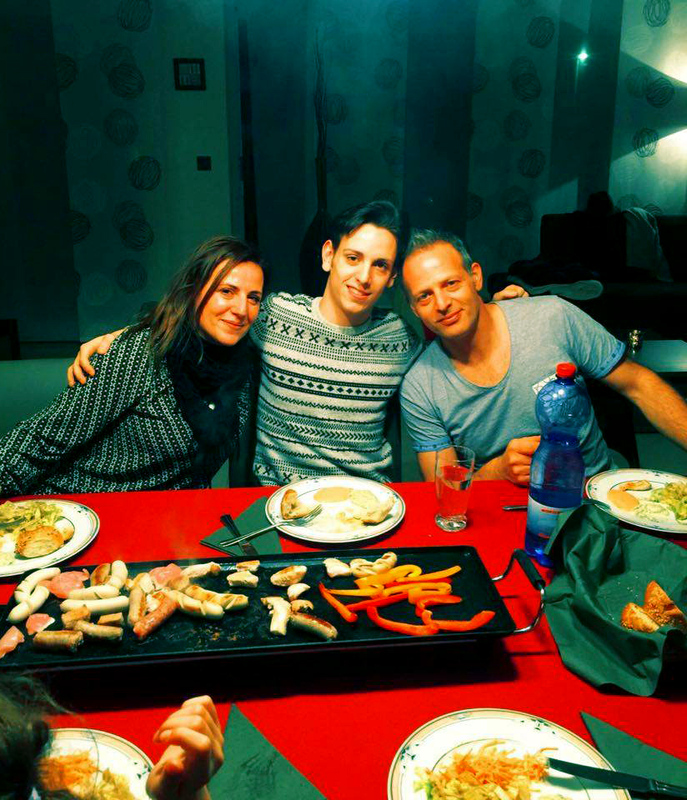 Living without my family was very difficult at first but once I’d got used to it, things got better. Certainly, living alone you become more responsible… you grow up a little faster. My first weeks at Vienna were awful as I just wanted to return home, but fortunately I left for Vienna with my best friend which made things a little easier. Now, after four years, I’m very happy here, though obviously I’d like to spend more time with my family… I miss them terribly. They have given me continual support, something that unfortunately not all young people have, and for me that has been fundamental. I have studied hard and made many sacrifices, but so have my parents, who have continuously been there for me… each and every day! The Ballet Academy at the Wiener Staatsoper dates back to 1771 and, along with the Paris and St Petersburg schools, is one of the world’s oldest institutions for classical ballet. The Vienna Academy has given me the possibility to study, study, study… something that has allowed me to improve greatly. It has also allowed me to participate at important international competitions. Vincenzo won the third prize in the 5th Beijing International Ballet Competition in 2014. I am so grateful to Simona Noja, the head of the Academy, who has always been so friendly and helped and supported me throughout. You never finish perfecting your technique, and the more you learn, the more you realise how much more there is to learn. Now it’s almost time to say goodbye Vienna and take up a position with his Lausanne scholarship. I have to make an important choice and choose the right company for me for the next season. Luckily, I’ve still got a bit of time to think about it before I must decide. Thank you for posting this. Looking at that smile, i like to feel that maybe there is hope for this world. End up! What he will choose? Nice interview for such a young artist!